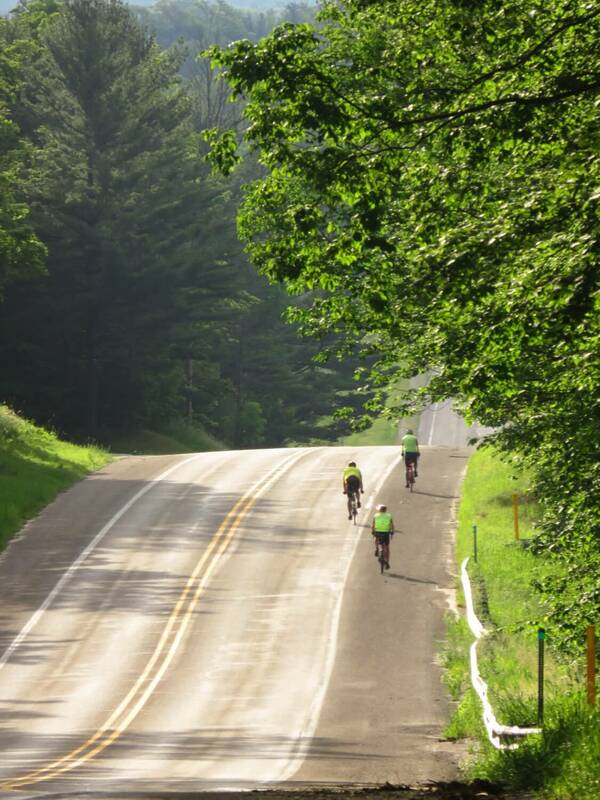 Recognizing that Southwestern Michigan offers a rare combination of good bicycling roads and great scenery, several cycling enthusiasts got together in 1971 to form the Kalamazoo Bicycle Club. They wanted to support and encourage other riders in the area, to promote the sport of bicycling, and to have fun. As shown in the Club Mission, that tradition continues today in the Kalamazoo Bicycle Club. 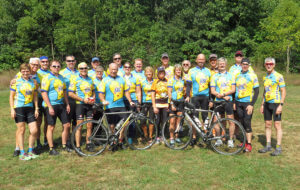 The purpose of the Club shall be to promote bicycling; to encourage and facilitate touring, races, bicycle outings, and all forms of recreational bicycling activities; to defend and protect the rights of bicyclists; to secure a better understanding and recognition of the need for safer riding conditions; to encourage the allocation of facilities for bicycling on public lands; to cooperate with the public authorities in the observance of all traffic regulations; to provide an opportunity for members to socialize with others who have an interest in bicycling; and to recognize bicycles as vehicles used for pleasure, fitness and transportation. 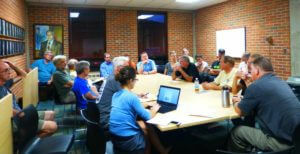 The Club will cooperate with other organizations with a similar goal and purpose. The Kalamazoo Bicycle Club Constitution is viewable here. KBC is led and managed by an Executive Committee and Board of Directors, all of whom are volunteers. The current list of KBC Officers can be viewed here. KBC holds regular monthly meetings at 7 PM on the second Tuesday of the month, at the YMCA on Maple Street, to discuss the club’s business. Members and the general public are invited to attend. 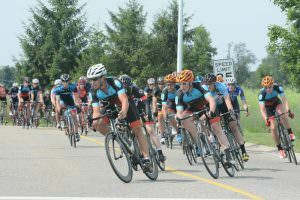 The monthly KBC Newsletter contains a calendar of events, announcements of special rides, tips on biking techniques and mechanics, reports on past rides, and general information on the state of the sport. The PedalPress also includes monthly KBC Board meeting minutes, keeping members abreast of what is happening in the Club. Go to the PedalPress page. 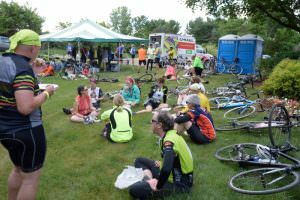 KBC organizes a major local bicycle tour (and Club fundraiser) in June, the KalTour, with marked 15-100 mile routes available, food stops, and prize giveaways. 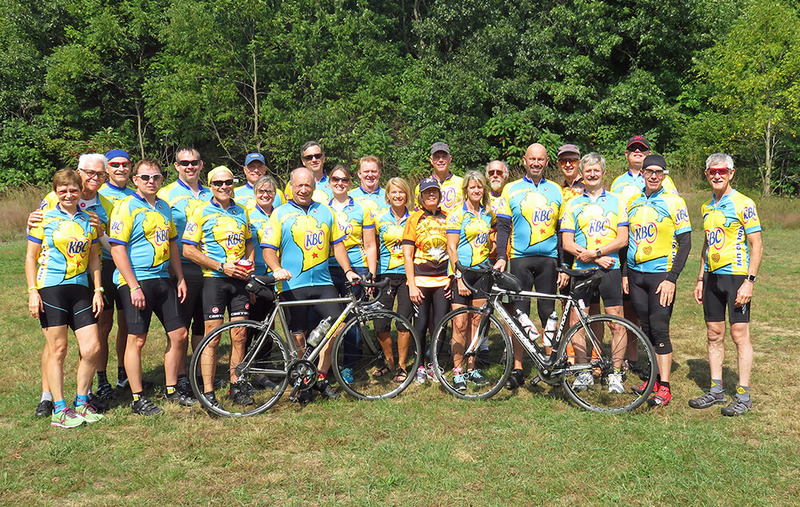 KBC also sponsors several extended or daylong weekend tours during the summer, including the Ride to South Haven, the “W” Ride, the Anniversary Ride, and the Ride Around Kalamazoo County. 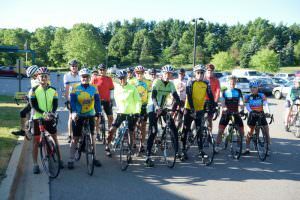 The Kalamazoo Bicycle Club sponsors a USA Cycling Sanctioned racing team. All club members have the opportunity to try out for this team. For the 2016 Season the team’s title sponsor is Clark Logic. Team Clark Logic helps to run KBC’s Tuesday Night Time Trial.